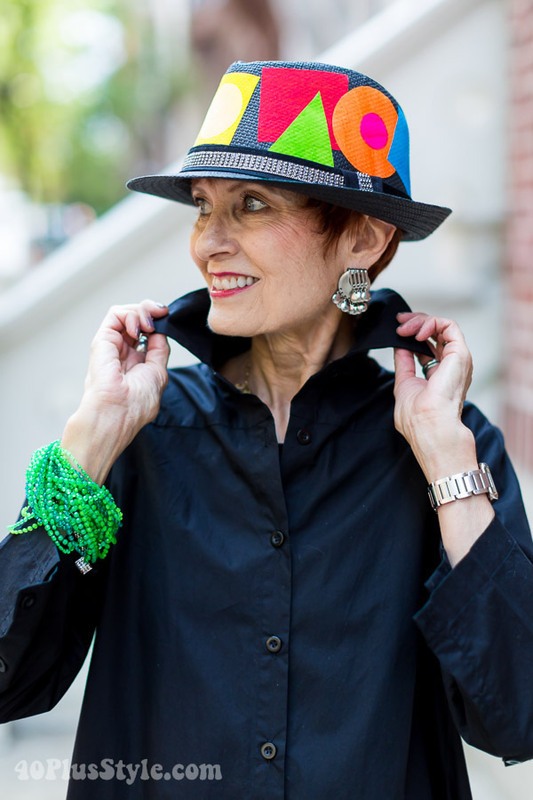 Judith, aka Style Crone, is one of my favorite 40+ style bloggers. She is actually already in her 70s (I know, hard to believe) and is known for her love of hats. I interviewed her a few years ago here. 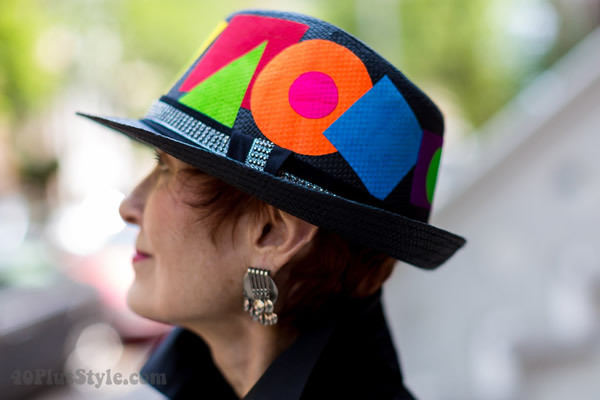 She was recently in New York and 40+ style photographer Denton had a chance to catch up with her and take these fabulous photos. This is truly an outfit where the hat is the star! Of course I love her asymmetrical shirt too and the bracelet is the perfect accompaniment to the hat. And then there is the skinnies. I often get asked if 40+ women can wear leggings or skinnies (read the full article on this topic here) and I often point them to Judith who wears both leggings and skinnies regularly in the most sophisticated and comfortable ways. 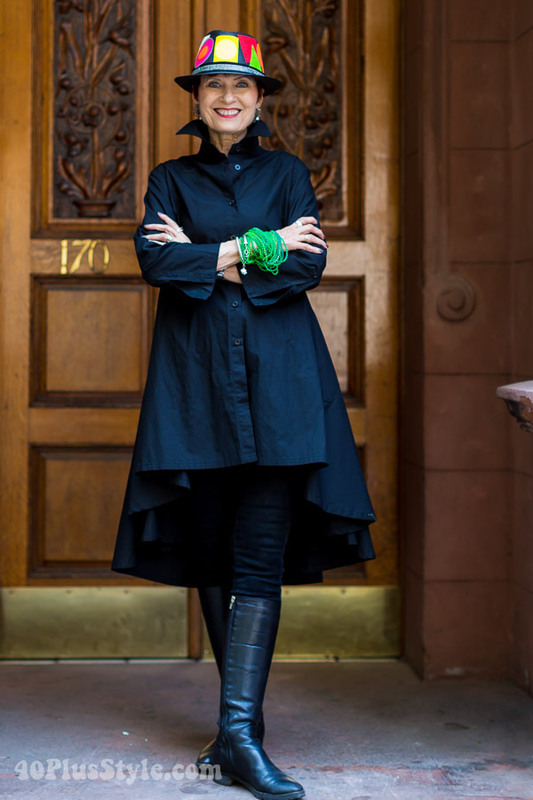 Apart from having amazing style, Judith is also a very accomplished and poetic writer and a must-read if you want to know how to live a full, stylish and energetic life on the other side of 60. 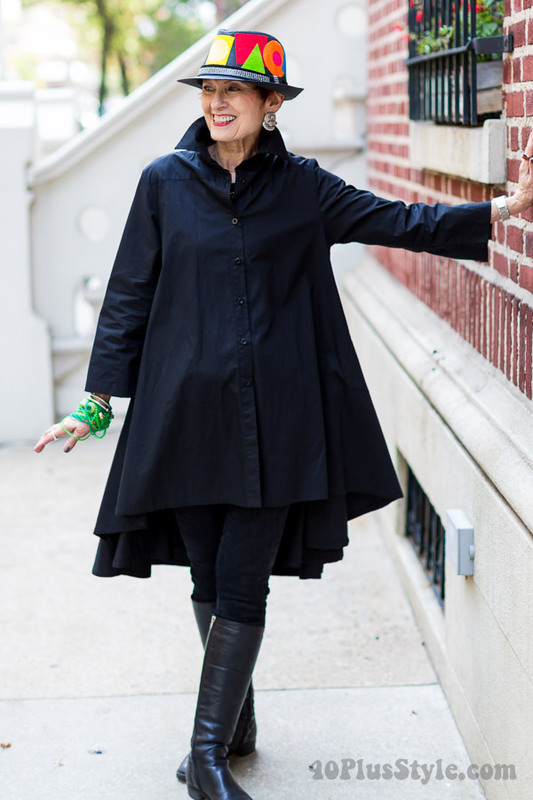 Judith is one of those women who shows me that style does not stop at any age and who seems to live each day to her full potential. She inspires me every week with her thoughtful stories on her blog and is now also very active on Instagram which offers glimpses of her active life.